Thousands of years ago - before school yards were dotted with playground structures like jungle gyms, slides, monkey bars, and swing sets - Greek philosopher Plato said it perfectly: "Life must be lived as play." 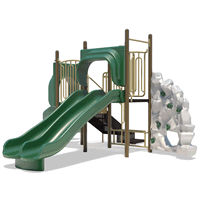 Commercial playground Equipment is essential for day care, preschools, schools, and churches. 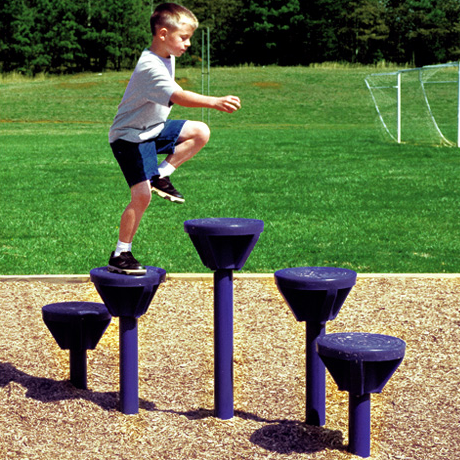 ParknPool offers play structures for all ages, even adults (Outdoor Fitness Equipment). 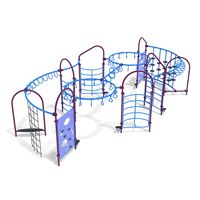 The first consideration in choosing proper kids playgrounds is the target age. 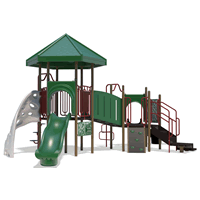 Purchase only high quality commercial playground sets for child safety and your liability. Remember, ParknPool can provide resilient surfacing and installation services. Just call us. How will children travel to and from the outdoor playground sets? Are there any potential hazards? Are there potential hazards near your play area, such as busy roads, water features, or drop-offs? What will the sun exposure be? Nearly 50% of the preschool and school age playground equipment installed today have an additional shade structure to add comfort and protect the kids from excessive sun exposure.